Don't you love it when an otherwise quite run-of-the-mill old dinosaur book hides one or two remarkable secrets? 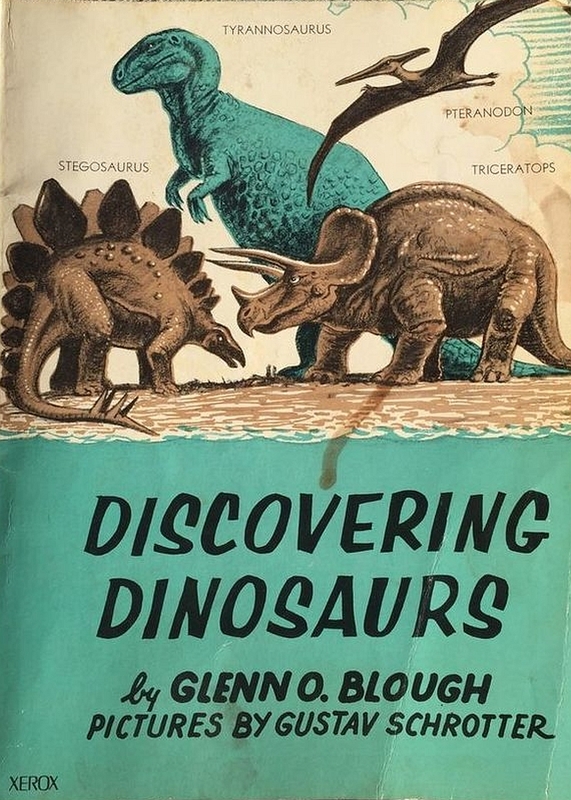 The vast majority of Discovering Dinosaurs is as predictable as anything; it's 1960, so here are some green-and-brown Charles Knight rejects, statically positioned about the place and staring vacantly into the middle distance like they've just been forced to listen to someone explain how carbon dioxide couldn't possibly be a greenhouse gas because 'it's plant food'. However, there's more to Gustav Schrotter's illustrations than is first apparent...as we shall see. Many thanks yet again to Charles Leon for sending me the scans you see here (and more besides). You're quite the wonderful bloke. It seems that in the 1950s and 60s, there was a real explosion in the popularity of dinosaur books for kids. Perhaps it had something to do with broader pop culture trends of the period, such as the sci-fi B-movie boom. 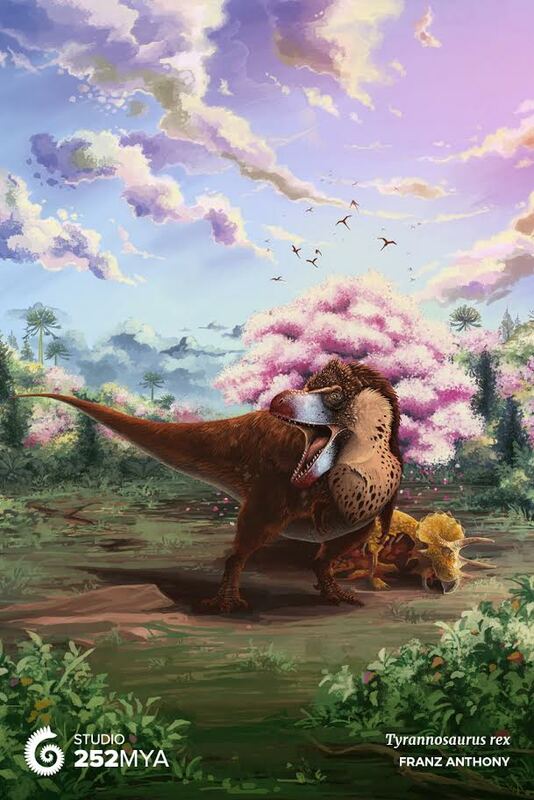 Although the Dino Renaissance had yet to take hold, there was a noticeable shift in tone - where dinosaurs were previously seen as evolutionarily unimportant, authors suddenly took great relish in detailing the huge size of their jaws, their flesh-tearing ferociousness, the sheer terror they must have induced in their prey. Animals of Long Ago, published in 1965, is a seminal example of a book from the period; the illustrations are somewhat half-hearted, er, homages, but the text is often rip-roaringly good. Many thanks to Charles Leon for sending me this one! Time for another Mesozoic Miscellany, gathering cool news, blogging, art, and more from around the web over the last month. One brief note about LITC first. If you're viewing us on the browser, you'll notice that we've added some ads in our sidebar via Project Wonderful, in addition to continuing our tip jar. All proceeds from this will go to moving us over to WordPress and covering related hosting fees. Project Wonderful is a platform particularly popular in the webcomic world. It works by auctioning off ad space and the value of our boxes depend on traffic here as well as click throughs, so don't be bashful about clicking ads that strike your fancy! I'm trying to keep anything too obnoxious off the site. I was pretty happy to find Ashfire Moon through ads, which features some innovative comics, including a "Lost World" inspired tale called "The Heart of the Hollow World." With that out of the way, on to the dinosaurs! As featured in our 2016 gift guide, Studio 252mya has opened its doors. 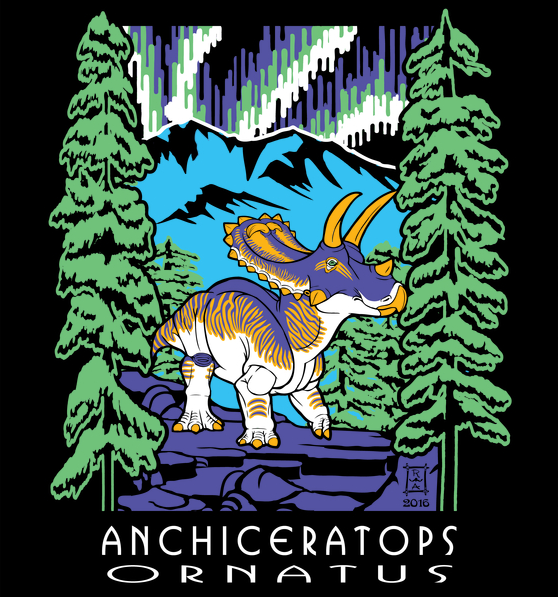 A project from the team behind Earth Archives and Pteros, the studio sells goods based on the artwork of their international roster of paleoartists and plans on launching an image licensing service soon. Check 'em out now. Meet the muddy dragon, a new oviraptorosaur out of China. Read more at Science and from Brian Switek at Laelaps. A new paper described two new late Triassic dinosauromorphs from Brazil, the lagerpetid Ixalerpeton polesinensis and early, carnivorous sauropodomorph Buriolestes schultzi. Read more from Jacquelyn Ronson for the Inverse and Joe Bauwens at Sciency Thoughts. Nice paleoart from Maurílio Oliveira, as well! 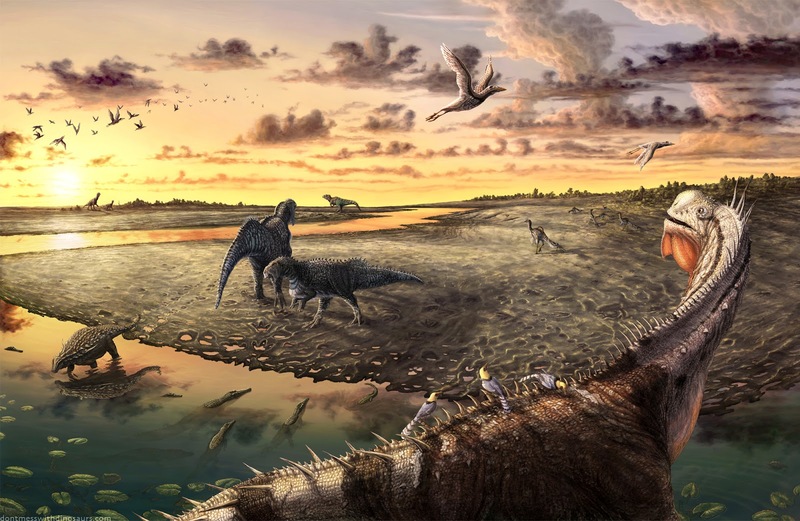 At the Canadian science communication blog Science Borealis, Liz Martin-Silverstone and Raymond Nakamura write a nice article on the practice of paleoart, speaking with Mark Witton and Danielle Dufault. The Cleveland Museum of Natural History recently hosted Dinofest, and Ashley Hall covered the event at her tumblr, Lady Naturalist. The nostril openings - or nares - of ceratopsids are rather remarkable. Darren Naish writes about their possible explanations at TetZoo, inspiring a rash of paleoart (unfortunately not organized by any hashtag, so you kind of just have to search it out). 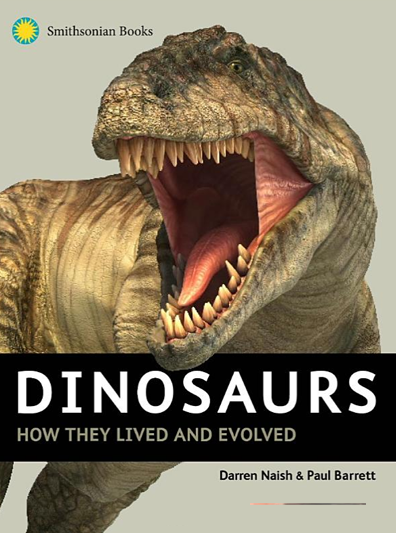 Also, don't miss Darren's post on his new book with Paul Barrett, Dinosaurs: How they Lived and Evolved. At Pseudoplocephalus, Victoria Arbour summed up her experience at SVP 2016 with lots of great photos from the museum, auction, and more. Sarah Gibson has been writing about the Top 10 Open Access dinosaur descriptions of 2016 at the PLoS Paleo Community Blog, With recent posts on Spiclypeus shipporum and the delightfully named marsupial "lion" Microleo attenboroughi. Head over to Beyond Bones to read about really, really, really old poop. The Tetanurae Guy writes about recent travels, including photos from Dinosaur Ridge and its accompanying museum near Denver. At the Smithsonian National Museum of Natural History's Digging the Fossil Record blog, Antoine Bercovici writes about his time out in the field as part of a team mapping sites associated with the K-T Boundary in southwestern North Dakota and southeastern Montana. At the RMDRC Paleo Lab blog, Anthony Maltese writes about how the lab acquired a fairly complete specimen of the rare Cretaceous turtle Chelospargis and cast a reproduction of the skeleton. Michael Barton of the Dispersal of Darwin blog writes about Gregory S. Paul's new second edition of the Princeton Field Guide to Dinosaurs. The technology behind the V-NHM is now complete and we’ve even been able to take a tour around! The user interface is so intuitive to use and loads of fun to just run around with your friends; in fact, one of our trial runs ended up as a 30-minute-long game of chase! It just goes to show that the V-NHM is inherently fun, even before we’ve placed any content in the cabinets. With the website complete, the focus over the coming months will be on curating content, filling cabinets and weaving a narrative between exhibitions. We hope to be able to launch the museum early in 2017. To contribute to the campaign, head over to Crowd.Science. For the second year in a row, Raul Ramos pumped out an amazing volume of beautiful paleoart during #DrawDinovember. Hard to pick just one to feature, but I particularly love this backlit Protoceratops. 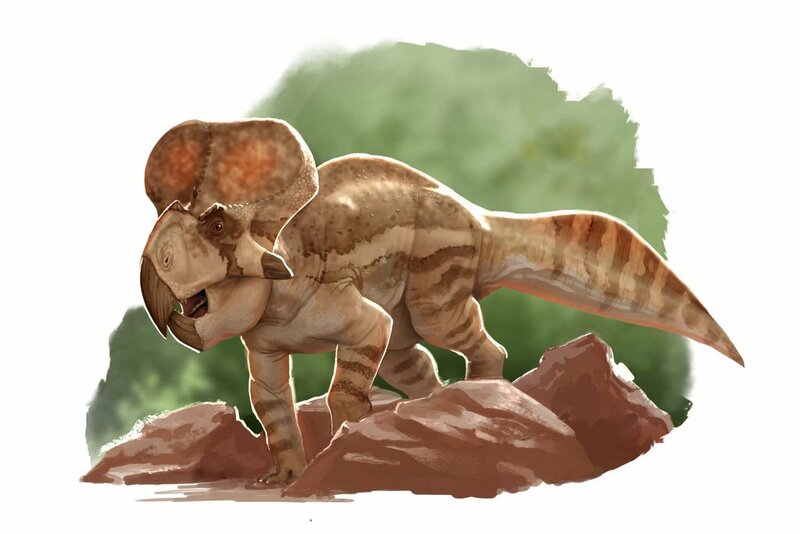 Protoceratops andrewsi by Raul Ramos, used here with the artist's permission. Follow Raul on Twitter, Facebook, DeviantArt, and at his site, which promises a store soon. Do the words "giant Antarctic mosasaur" get your attention? Sure they do. Why wouldn't they? Meet Kaikaifilu hervei. Everything Dinosaur has the story, or read Rodrigo Otero et al's original paper for the princely sum of $37.95 at ScienceDirect. Unfortunately, the figure in the paper is yet another case of art theft in the scientific literature. And this time, LITC's own Asher Elbein is the victim. Compare the images below. Figure on left from Otero et al 2016; figure on right from Asher Elbein's DeviantArt account, dated October 16, 2012. Images used here under fair use. This is plainly an incidence of art theft. It seems that at some point, someone posted Asher's original to Dinopedia, changing the license to a creative commons license (hopefully by the time you're reading this, the site has responded to Asher's DMCA takedown notice by removing it). Then Otero or someone working on the paper found it one one of those two sites and traced it (looks like it is a slightly modified Illustrator auto-trace) without credit or compensation. Scientists, you cannot just take art for your papers. Asher deserves to be compensated and credited in this paper. How do you people expect artists to produce the work you clearly depend on to illustrate your research if you're not willing to do the bare minimum to credit and compensate? Some folks haven't liked it when I've said it in the past, but I'll say it again: there is no paleontology outreach without paleoart. Own up to it. Well, this post certainly inspired conversation. In fact, it is by a long stretch the most commented upon post in LITC history. I appreciate all of the comments, critical and supportive. First of all, it's clear that the authors of this paper did not willfully infringe Asher's copyright. No one was trying to rip him off. In fact, Rodrigo Otero left a lengthy comment which explained how this happened, but it has since been deleted (more on this below). So, the most charitable explanation is that the author(s) were unaware of what a Creative Commons license entails - at the very least, it would require attribution, therefore a misattribution would imply an understanding of the license. Since there was no attribution, there's a clear misunderstanding of ethical image use. This is a misunderstanding many people share. It is not limited to the authors of this one paper. So, in an effort to add to the conversation in a productive way, I'll be putting together at the very least an "Introduction to Creative Commons" post, and perhaps a broader "Image Use Best Practices" post as well, with the goal of dispelling misunderstanding about exactly what a CC license is, and what responsibilities it entails. I have no illusions that this would fix the problem, but it may help. Note that I can be charitable and also call this stuff out. There's really no excuse for not understanding image use guidelines. I allow that the image was used in a graphical abstract, if not the paper itself, though I had no way to peer over the pay wall to know that. Whether in a graphical abstract or a paper, the point remains. I understand that not everyone enjoys reading angry words from artists. This anger is rooted in a pervasive culture of devaluing artists' work, a problem that even occurs in the vaunted world of science. This anger is warranted, even if you feel blindsided by it. I've had my mind opened to societal problems by the anger of victims, so I'll maintain that muted civility is not the only tool we have to change an unsatisfactory status quo. Regarding the deleted comment: I'd like to repeat here that I did not delete a single comment on this post. If I delete a comment, I will always provide an explanation. Any removed comments were either deleted by their original poster on purpose or by mistake, or by a Blogger glitch. If you had a comment removed by accident or glitch, I can easily email it to you. Just let me know! All comments are delivered to me by email, so there is record of them in their original form. Then you can repost it. If this seems to be a glitch that's happened repeatedly, I will report to Blogger (though I'm not optimistic that it will be fixed, thus my intention to move to WordPress). Whoa, that update was longer then the original post! Anyhow, thanks for reading and contributing to the conversation in the comments. Rodrigo Otero has written another comment below, please be sure to read it. Seems we have a good resolution here. Thanks for the comment, Rodrigo! And yes, as Matt Martyniuk suggests in a comment below, Blogger's comment platform is garbage. I swear I'm intending a WordPress migration as soon as it's feasible. It's that time of year again, and once more your trusty paleo-bloggers of LITC are here to offer some very cool dinosaur gifts sure to satisfy the enthusiasts of Mesozoic megafauna in your life. As in years past, we will focus on products that look cool, reflect the modern state of paleoart, and come from independent artists and creators. 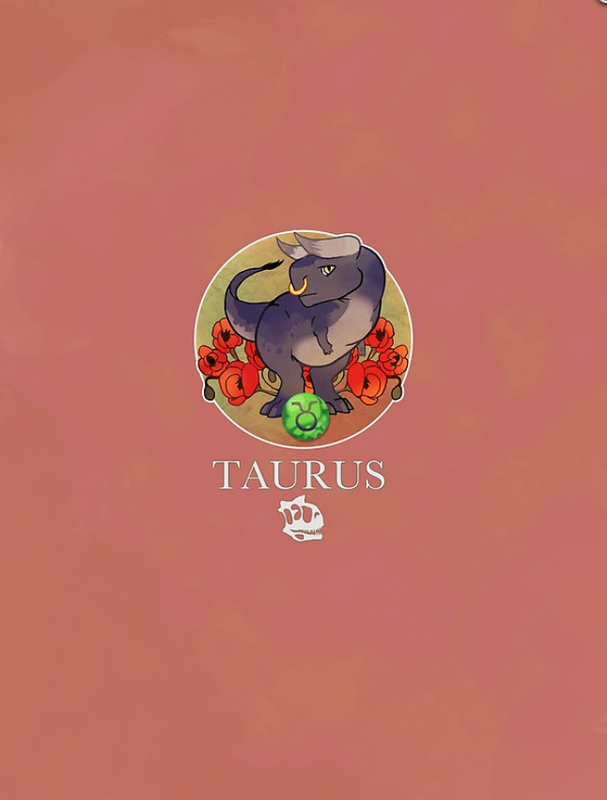 Taurus Dinosaur Zodiac © Les Valiant, used with the artist's permission. Dinosaur zodiac! This adorable collection by comic artist Les Valiant on Redbubble is available as individual pieces in various formats, or as a poster of the entire set. Miami-based artist Gabriel Ungueto has been creating some lovely posters recently, for sale through Redbubble. 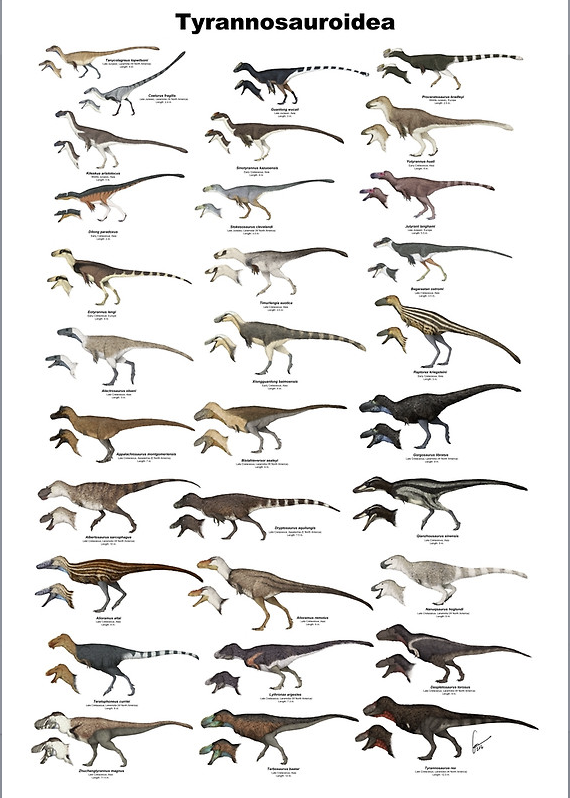 Choose between Tyrannosauroidea and Dromaeosauridae, Ornithomimosaurs and Alvarezsaurs, or buy 'em all! The Alaskan creative duo of Scott Elyard and Raven Amos of Cubelight Graphics have some great new stuff this year. 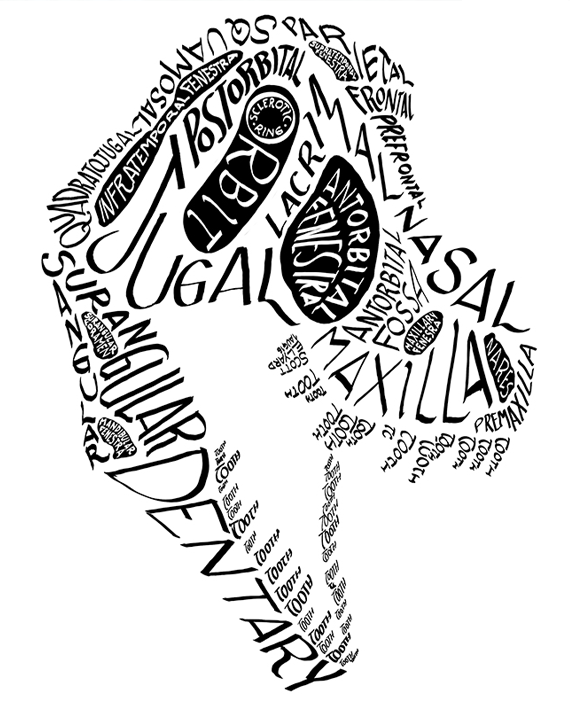 Check out Scott's fantastic dino skull calligraphics, including the tyrannosaur above. I also love Raven's Aurora Ornatus, available as a sweet tee at NeatoShop. Who says southerners make the best sweet tees? Hardy har har. Tyrannosaurus rex © Studio 252MYA/ Franz Anthony, available via Studio 252 MYA and used here with permission. Studio 252mya is a new paleoart studio featuring an international team of artists. It's been built by the team who also created the sites Earth Archives and Pteros. There's a treasure trove of wonderful art to pick from. I love Franz Anthony's T. rex illustration above, and it sure makes a handsome iPhone case! Also available as a framed print, mug, and more. Be sure to browse their entire shop. Artist Natasha Alterici runs a shop on Society 6, featuring her distinctive dinosaur art. I love her hellish Allosaurus v. The Extinction. Plus, all of her proceeds are being donated to the ACLU presently! The cover of Witton's "Recreating an Age of Reptiles"
Mark Witton published Recreating an Age of Reptiles this year. Signed copies are available in his online shop (along with prints of his work). It costs just a bit more than the unsigned edition. 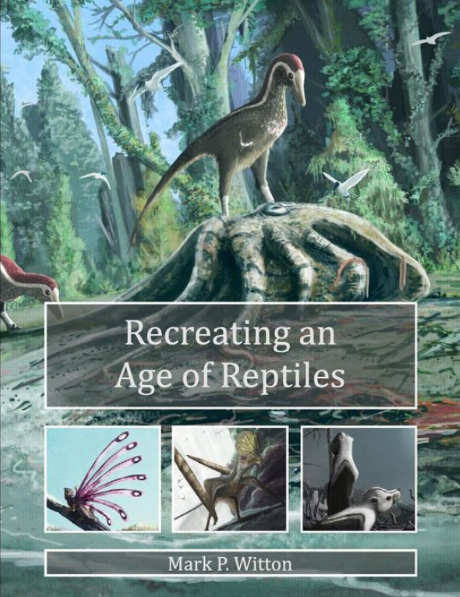 "Rec-A-Rep" a must-have for anyone who cares about paleoart, and a wonderful demonstration of how art and science are inseparable in paleontology. To be further convinced, read our very own Marc Vincent's review from July. 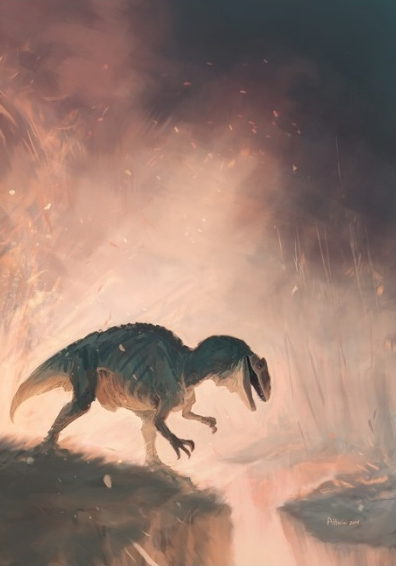 One of my favorite illustrations of new-look Spinosaurus comes from Francesco Delrio, which manages to make the oddly proportioned beast look graceful. Available as a variety of print formats. The cover of Naish and Barrett's "Dinosaurs: How They Lived and Evolved"
Darren Naish and Paul Barrett's Dinosaurs: How They Lived and Evolved. Marc reviewed the tome in October, and had high praise: "So, should you get it? Yeah, you should get it. It's essentially the perfect summation of 'where we're up to' with dinosaur science, allowing for differences in opinion and areas where More Research is Needed." The Mill Canyon Dinosaur Tracksite © Brian Engh, used here with the artist's permission. If you're looking for a stunning piece to stop people in their tracks, Brian Engh's beautful panorama of the Mill Canyon Dinosaur Tracksite should do the trick nicely. Additionally, you can support his work via Patreon, and get early access to an assortment of new originals he's auctioning off. The Patreon-specific auction lasts until December 11, at which point it will be opened to the general public, concluding on December 17. 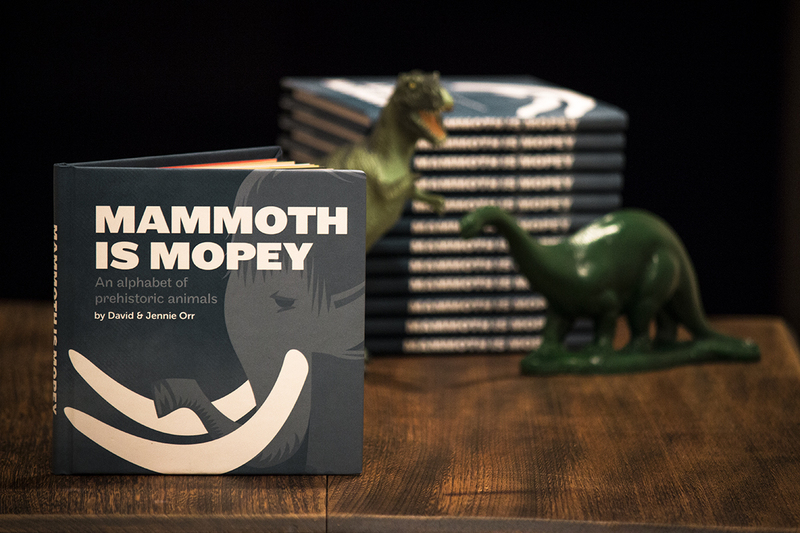 Finally, if you're new to LITC, you may not be aware of my children's book, Mammoth is Mopey, created with my wife Jennie and published in 2015. This year, we've got a big holiday sale on. Limited edition hardcover copies are only $10 through the end of the year, and as always each one comes with a complimentary ebook, which features an educational appendix that isn't in the print version. That's a wrap for this year's guide! These are always fun to put together - I always find a new artist or two as I look for items to feature. Of course, many of the products featured in our previous gift guides would still make delightful gifts. So please do browse our 2015 and 2014 (parts one, two, and three) posts as well. 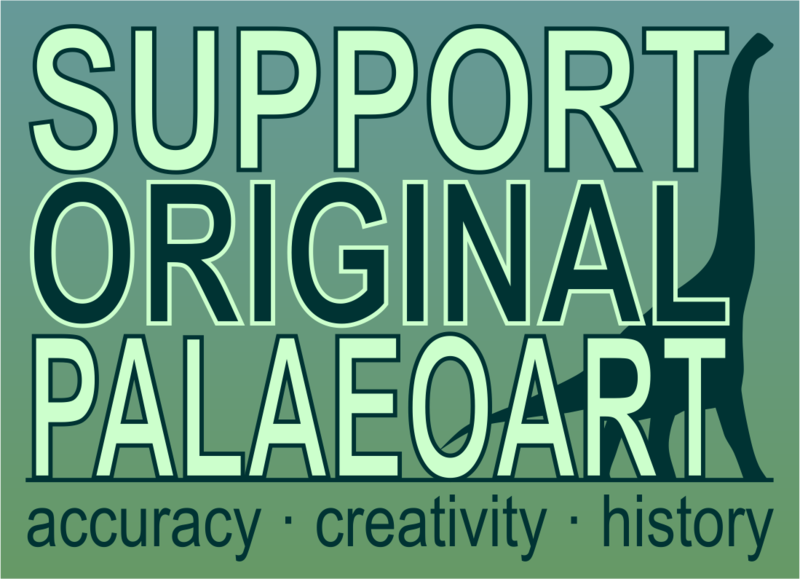 Let's support independent creators, the people who bring the current paleontological golden age to vivid life!